When warmer, drier weather returns to the Pacific Northwest, river recreationalists reappear at the Clackamas River. The Clackamas, with a 47-mile section designated as a Wild and Scenic River, flows from its headwaters in the Mt. Hood National Forest to its confluence with the Willamette River, attracting kayakers, paddleboarders, swimmers, hikers and anglers from all over the world. 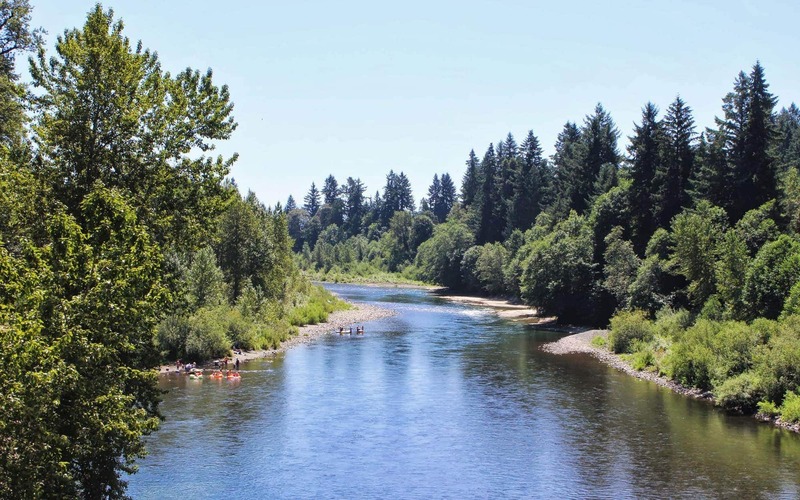 I came to know this river about a year ago, working for the Clackamas River Basin Council, a nonprofit organization dedicated to protecting water quality and habitat for native fish, wildlife and the community members who live, work and play here. In my time exploring this river, I’ve quickly learned that the love and respect for this river is strong — it reels you in and hooks you hard, with a spirited identity that flows from its natural resources and deep cultural history. I’ve also learned that one core aspect of this love is fishing, which is world class on the Clackamas, and of great significance to those whose ancestors fished these waters for thousands of years and those that follow the runs today. That’s in large part due to the range of native fish species that reside in the Clackamas, including the last significant run of wild late winter coho in the Columbia Basin and one of only two remaining runs of spring chinook in the Willamette Basin. The watershed also supports a significant population of summer and winter steelhead, cutthroat trout and native lamprey. A unique working bond is formed by the presence of these keystone species – anglers, conservationists, recreationalists, local government and utilities all come together with passion, persistence and unity to protect our native fish and the habitat they depend on. One of these dedicated groups is Trout Unlimited, whose Oregon Council Chair, Terry Turner, has a great love of fly fishing on the Clackamas and shared some of his wisdom with me. With at least seven months’ worth of run time for steelhead alone, it makes sense that fly fishing is big here, not to mention the wild fish and abundant swing water. The Lower Clackamas, from the Rivermill Dam to the confluence with the Willamette, is primarily a salmon and steelhead show. While fishing for steelhead generally kicks off around Thanksgiving, the real fly swinging fun takes place between February and the middle of April when winter steelhead populations peak. Intruder patterns in black/blue, black/red, black/purple and pink/white will eventually bring you fish. After May 1, the fishing will also include a run of hatchery summer steelhead, and you may be surprised to find a wild or hatchery spring chinook on your line as well. In October and November, the Clackamas gets a nice run of both hatchery and wild coho, so don’t overlook the river then. The middle river section includes the reservoirs at Estacada Lake, Faraday Lake, N. Fork Reservoir and Harriet Lake. These fisheries can be a great place to get novice fly anglers into some fish, especially if you have a boat. Stripped leeches and wooly buggers will find a lot of eager fish. Above N. Fork Reservoir, it’s fly angling and catch and release only. 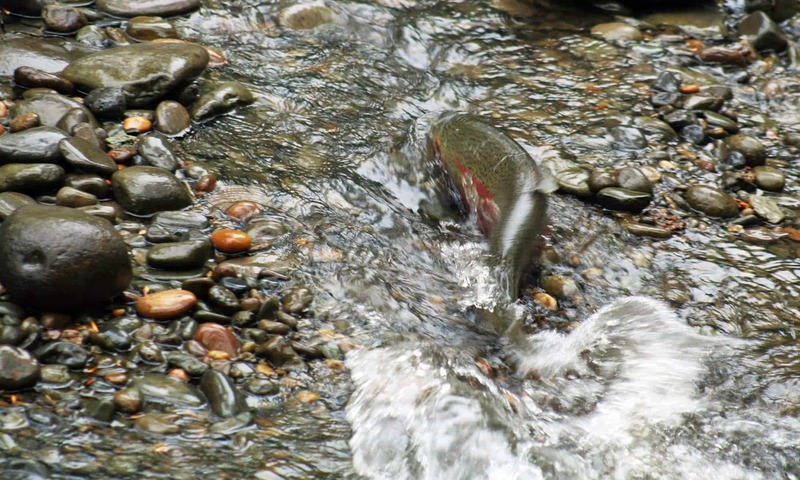 The Upper Clackamas has miles and miles of outstanding fly water. You’ll find mostly cutthroat trout, whitefish and rainbow trout, both in the main stem and the tributaries all the way to the headwaters in the Olallie Basin. You’ll definitely want to explore a few of the nearby tributaries, including the Oak Grove, Collawash and Hot Springs forks. You may even consider spending an evening or two at the Oak Grove confluence with Harriet Lake, where large brown trout have been caught on dries. Bring along Elk Hair Caddis and Parachute Adams flies to the upper river, and add a small prince nymph or a bead head pheasant tail for extra measure. There’s a lot of adventure to be discovered on the Clackamas, particularly with a rod in hand. As you uncover your own adventure on this river, please help support the community of people that work hard every day to ensure that our wild fish return to the river in healthy runs each year. When the river thrives, we all thrive! Looking for local gear, fishing reports, and current river conditions? Head to NW Fly Fishing Outfitters or Royal Treatment Fly Fishing, and check out the Oregon Trout Trail while you’re there. If you’re looking for information from the experts, the 20-year-old Clackamas Fly Fishers club is a wealth of knowledge and activity. Fly fisherwomen, check out the Stonefly Maidens Fly Fishing Club, bringing women who share a love of fly fishing! Alix Danielsen spends her days on the Clackamas River and its tributaries, working for the Clackamas River Basin Council as the Communications and Program Specialist. 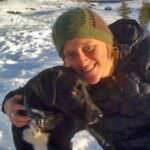 Alix has worked in the wine industry, run a small community-supported agriculture farm, thru-hiked the Pacific Crest Trail and now adventures with her husband, one-year-old, two dogs and a cat in and around Portland.